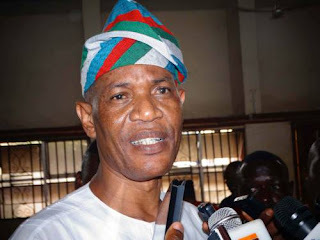 The South West Zonal Coordinator of the All Progressives Congress, APC, Presidential Campaign Council, Olusola Oke, has stated that the three and half years of President Muhammadu Buhari have been more beneficial to the South West than the 16 years rule of the Peoples Democratic Party, PDP. Oke stated this during a press conference in Akure to welcome President Muhammmadu Buhari to Ondo and Ekiti States on Tuesday. “The South West is the engine room of this government and APC as a party, Buhari has done more for us than the sixteen years of the PDP, we have been a major beneficiary of the change matra and ready for the next level. “Rehabilitation and expansion of the Lagos-Ibadan expressway, construction of 158km Lagos-Ibadan standard gauge rail, dualization of Oyo-Ogbomosho road, Lagos-Ore-Benin road and other major infrastructures are being centered in this region by Buhari. “Major ministries are being managed by our people from the southwest, You don’t change a winning formula, We want to retain a working formula. “I hereby urged our people in Ondo and Ekiti to come out en mass to welcome president Buhari tomorrow, I want our people to surpass what happened in Oyo and Osun states.